Update: 1/11/19: Xiaomi has announced the Mi Mix 3 will go on sale in the UK on January 16th. There have been many different approaches to removing bezel on the front of phones. The display notch has been the most popular option, but some OEMs have gone to more extreme lengths. 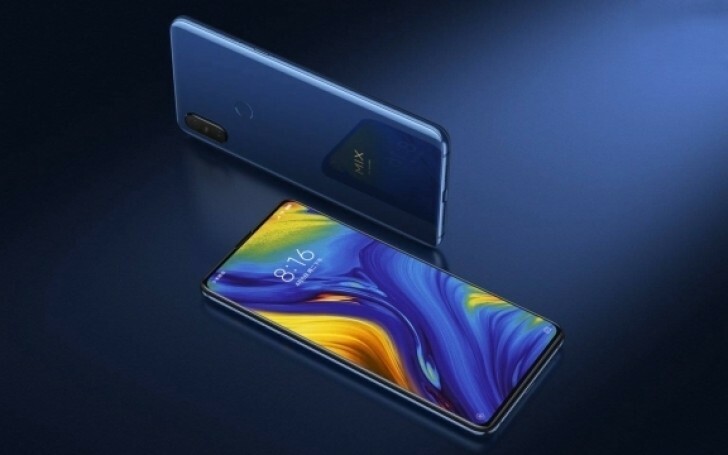 The Xiaomi Mi Mix 3 features a slider that reveals the front-facing camera when you need it. The device is only available in China right now, but it will soon be coming to the UK. Xiaomi launched the Mi Mix 3 back in October. It features an impressive 6.4-inch display with very slim bezels on all four sides. The phone is powered by the Snapdragon 845 SoC, 6/8GB of RAM, 128/256GB of storage, and a 3,200 mAh battery. Xiaomi has packed 4 cameras in total: dual 12MP cameras on the back, and a 24MP primary sensor with a 2MP depth sensor on the front. According to TechRadar, the Mi Mix 3 will be coming to the UK in Q1 2019. They do not know the exact date or pricing information yet. As a point of reference, the base model was priced at CNY 3,299 ($474) at launch. We also don’t know if all the RAM/storage configurations will be available. The one other thing they do know is it will be available in Onyx Black and Sapphire Blue when it launches in the UK. #MiMIX3 will go on sale on January 16th in the UK!